The purpose of the series is to provide comprehensive expository and critical surveys of the work of major philosophers. One aim of the series is to dispel the intimidation such readers often feel when faced with the work of a difficult and challenging thinker. Martin Heidegger is now widely recognized alongside Wittgenstein as one of the greatest philosophers of the twentieth century. He transformed mainstream philosophy by defining its central task as asking the ‘Question of being,’ and he has had a profound impact on such fields as literary theory, theology, psychotherapy, political theory, aesthetics, and environmental studies. His thought has contributed to the recent turn to hermeneutics in philosophy and the social sciences and to current postmodern and poststructuralists developments. Heidegger’s thinking embraced not just the philosophical and social crisis of Germany at this time, but became a powerful reassessment of the most basic values and assumptions of Western civilization since ancient Greece. Gadamer describes the massive impact of Heidegger in lectures which encompassed ancient Greek thought and contemporary issues within the same powerful over-view: ‘It was like a new breakthrough into the unknown that posed something radically new as compared with all the movements and counter movements of the Christian Occident’ (Gadamer 1994, 69). While other thinkers of crisis from this time, such as Oswald Spengler and his once famous The Decline of the West (1918), have become of merely historical interest, Heidegger’s thought retains an impact which is still working itself out. Heidegger was a philosopher of many sides, but this writing is about his thinking on questions of literature and criticism. Although there are several accessible introductions to Heidegger, focused on Being and Time (1927), this first such work on Heidegger’s poetics and literary theory, which almost entirely postdate that work. It is increasingly clear that Heidegger will stand out as one of the greatest philosophers of our times. His writings have had an immense impact not only in Europe and the English speaking world, but in Asia as well. To pave the way to a new understanding of ourselves and the world, Being and Time begins by asking the question posed by traditional ontology: What is being an entity? But Heidegger quickly notes that ontology as such, the question of being, ‘remains itself naïve and opaque’ if it fails to inquire first into the meaning of being. In other words, since what things are their being is accessible only insofar as they become intelligible to us. We need a fundamental ontology that clarifies the meaning of things in general. And since our existence or being-there (Dasein) is the horizon in which something like being in general becomes intelligible, fundamental ontology must begin by clarifying the possibility of having any understanding of being at all-an understanding which itself belongs to the constitution of entity called Dasein. This inquiry into the conditions for the possibility of having any understanding whatsoever, the analytic of Dasein, makes up the published portion of Being and Time. The investigation starts, then, with an inquiry into our own being, insofar as we are the entities who have some understanding of being, and it does so in order to lay a basis for inquiring into the being or entities in general. In Being and Time Heidegger gives an account of the distinctive features of human existence, in an attempt to answer the question of the meaning of being. He finds that underlying all of these features is what he calls ‘original time’. In this clear and straightforward introduction to the text, Paul Gorner takes the reader through the work, examining its detail and explaining the sometimes difficult language which Heidegger uses. The topics which he covers include being-in-the-world, being-with, thoroughness and projection, truth, authenticity, time and being, and historicity. His book makes Being and Time accessible to students in a way that conveys the essence of Heidegger’s project and remains true to what is distinctive about his thinking. “Basic concepts” or Ground- Concepts” (Grundbegriffe) means for us here: grasping (begreifen) the ground (Grund) of beings as a whole. When we have grasped something we also say something has opened up to us. … Thus “to grasp” (Be-greifen) the ground means above all that the “essence” of the ground embraces us into itself (ein-begriffen), and that it speaks to us in our knowing about it. 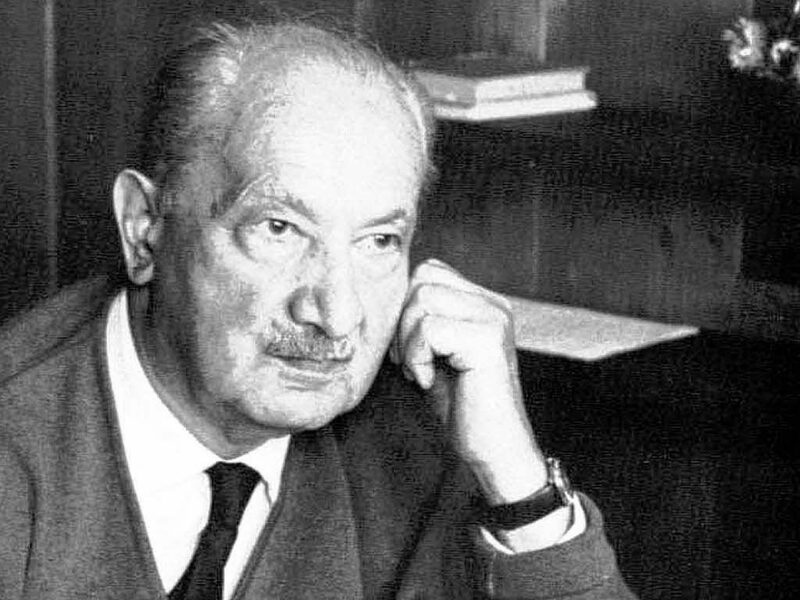 Martin Heidegger (1889–1976) is widely considered to be the most famous, influential and controversial philosopher of the twentieth century. His writings are also among the most formidable. The fundamental concepts of his thought are for many the source of both fascination and frustration. Yet any student of philosophy – or of contemporary thought in general – needs to become acquainted with Heidegger’s main ideas. Heidegger’s chief concern is not with how this particular thing X relates to that particular thing Y, but rather how it is that the meaning of Xs and Ys and their possible relations gets determined in the first place. What does it mean for such things to be; what does it mean to say that they are? This question of “ontology” (the study of being), rather than questions regarding the “o ntic” relations between particular beings, is what primarily interests Heidegger. Moreover, his central concern is not just with “regional ontology”, that is, with the meaning of the being of, for example, biological things, artificial things, mental things, social things or imaginary things. Rather, following Aristotle’s understanding of ontology as “first philosophy”, Heidegger wants to know first and foremost about “being as such”. What is the sense of being that all entities share? What is the being of all beings? Heidegger opens his first great book, Being and Time (1927), with this quotation from Plato (Sophist 244a). He goes on to say that not only do we in our time not have an answer to this question of the meaning of being, but we are no longer even perplexed about this most fundamental of philosophical concerns. We have forgotten the question of being. After Plato, Aristotle wondered about the question of “ being qua being” (on hei on), that is, the question of what it means for anything to be, irrespective of whatever other qualities it may have. While an ontological enquiry might go on to ask, for example, what makes the being of an animal different from the being of an artefact, the foundational question of ontology asks: what does it mean for anything at all to be? Being and Time, It was originally published in 1927 in Husserl’s Jahrbuch für phänome nologie und phänomenologische Forschung and appeared simultaneously in a separate printing. Rarely has a work of Philosophy (and more unusually still a first work) created such a stir upon its appearance. Being and Time is a carefully constructed and tightly woven work which, moreover, was originally intended as but the preliminary to a much larger programme much of which was never carried out as intended. Before attempting to come to terms with the details of this Meisterwerk, it will therefore be necessary, first, to spell out the parameters of the entire programme announced therein, and second, to seek to obtain an overview of the basic structures which command the entire book. Heidegger opens his Introduction with a quotation from Plato which serves to substantiate the general thesis that the question of the meaning of being has passed into oblivion, is no longer addressed, or worse, is addressed in such a way that it conceals rather than reveals the true import of the question. In a certain rough and ready sense, Heidegger argues, we all know what being means. But we no longer know how to address the question of the meaning of Being and this largely because we have lost sight of the correct mode of access to the question. The crucial question of the correct mode of access then gets answered in terms of the claim that Dasein is itself that very being whose mode of being must first be investigated if there is to be anything like a satisfactory approach to the meaning of being in general, and this because it is Dasein, and Dasein alone, which is capable of raising such a question. More strongly still, it pertains to the very being of Dasein that questions of this kind, ontological questions or questions concerning first philosophy, should always be raised, even though they may not always, or may indeed never, have been adequately answered. (One is reminded here of Kant’s distinction between metaphysics as natural inclination and scientific metaphysics.) If Dasein is the being whose mode of being must first be investigated if we are ever to be able to arrive at an answer to the question of the meaning of being in general, if, in this sense, a Dasein’s analysis has priority over any other analysis, then we need to know in what the being of Dasein itself consists. The short answer to this question is: existence. Dasein is in such a way that it has its being to be. This distinguishes the way Dasein is from the way in which anything else is. Things do exist but they do not, indeed cannot, adopt a relation to, or an attitude towards, let alone take account of, that as which they exist. ‘In Being and Time, the question concerning the meaning of Being is raised but not explicitly treated as such. Heidegger states there that it is the function of ontology to concern itself with this question, whereas fundamental ontology must focus on the mode of Being of Dasein. Because the book was published in an incomplete form, the being question itself was never explicitly discussed in Being and Time.… That suggests that in his early works (Being and Time and the Kant book) Heidegger was of the opinion that “Being” and “world” to some degree are equivalent. For in these works Heidegger constantly maintains that Being is that which in the final analysis makes the comprehension of beings possible while, on the other hand, it is argued that beings become understood as what they are to the degree that they are projected upon the horizon of the world. World is that toward which Dasein transcends beings; thus world is the concrete form in which every being encounters Being. Being and Time, translated by John Macquarrie and Edward Robinson, Harper & Row: New York, 1962. Basic Problems of Phenomenology, translated by Albert Hofstadter, Indiana University Press: Bloomington, Indiana, 1982. Kant and the Problem of Metaphysics, translated by James Churchill, Indiana University Press: Bloomington, Indiana, 1962. An Introduction to Metaphysics, translated by Ralph Manheim, Doubleday: New York, 1961. Existence and Being, Introduction and analysis by Werner Brock, Henry Regnery: Chicago, Illinois, 1949. Nietzsche, translated by David Krell, Harper: San Francisco, California, 1979. I Pravat Ranjan Sethi completed my studies from Centre for Historical Studies, JNU, New Delhi, at present teaching at Amity University. My area of interest is Modern History especially Nationalism, Political History, Cultural & Critical Theory and Gender Studies.